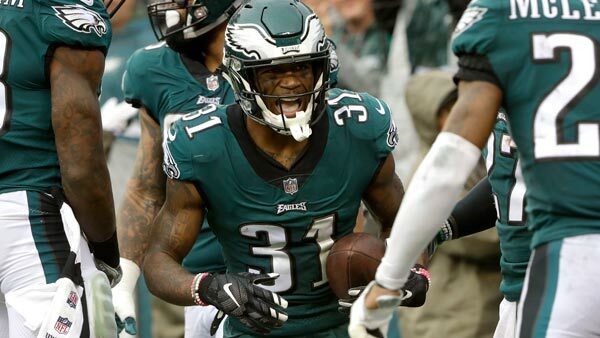 PHILADELPHIA (WPVI) -- Philadelphia Eagles cornerback Jalen Mills has been named NFC Defensive Player of the Week. Mills is the first Eagles cornerback to win the award since Lito Sheppard in 2007. Mills had a pick-6 in Philadelphia's 33-10 victory over the winless San Francisco 49ers this past Sunday. The Eagles (7-1) have won six straight games. Last week, quarterback Carson Wentz won the NFC Offensive Player of the Week award.